Objective : The aim of this class is to understand what the European Commission requires in reporting back individual costs incurred during project implementation with reference to what initially planned and foreseen in the approved budget for the action. Main target group: NGOs, including foundations and associations, trade unions and public sector (universities) as well as consulting companies working in development cooperation may be interested in this class. Independent consultants already working in the field may require an update as well as international grant-makers may find useful tips when setting reporting criteria. Experience and knowledge in international development cooperation are not requested. Structure: This class provides guidance through the understanding and drafting of a financial statement or report to be presented to the EC at the end of a project. The provided information can also be useful for mid-term reports when requesting to the EC mid-term payments. The class is divided into a first theoretical part and a second practical part. As an example, the speaker selects a model of financial statement (other formats are possible and need to be downloaded from the EC web site per each project co-funded). 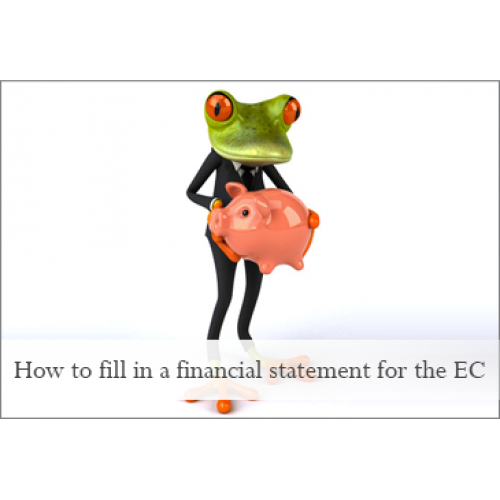 Every section of the statement is taken into account offering relevant tips on what the EC is usually expecting and on how to avoid mistakes as much as possible. Duration: This class is divided in two parts. The first part lasts 20 minutes and 57 seconds. The second part lasts 20 minutes and 39 seconds.